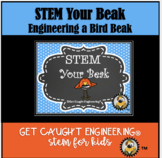 Build a Bird Beak: Engineering Challenge Project ~ Great STEM Activity! This Powerpoint illustrates the different types of bird beaks and feet and how they help the animal live in their habitat. 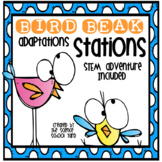 Students will love the 8 hands-on stations and enjoy exploring bird beak adaptations. It might possibly be the best science lesson of all time! This product includes station cards, supplies needed, station descriptions, and QR Codes that lead to a video for each station. This is a fun lab for learning about adaptations. 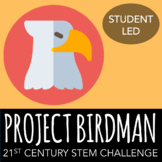 Students will rotate between stations with different types of 'bird food' and use various tools designated as beaks to decide which one works best. Students will collect and interpret data, and graph their results. Great for science and math! 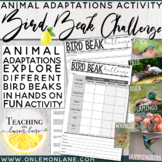 Experiment with different bird beaks to develop an understand of the importance of adaptations for survival. 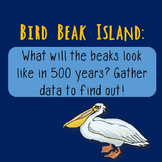 This engaging powerpoint presentation uses real photographs of birds and models of their feet and beaks. It describes the 6 different types of beaks and feet. 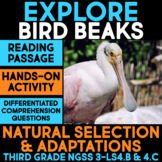 The notes section includes questions and information about the birds and their adaptations to be used by the teacher during the presentation.